In this tutorial, we are going to show how to add a new user inJasperReports Server. JasperReports Server manages the reports in various form. Follow the below steps to add a new user in JasperReports Server. Before adding a new user make sure JasperReports Server installed successfully in your machine. Step 1: Go to your JasperReports Server Login page and enter the Admin credentials. 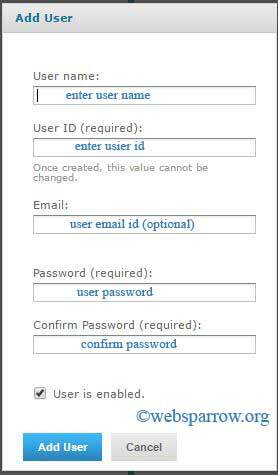 By default admin user id and password is jasperadmin and jasperadmin respectively. 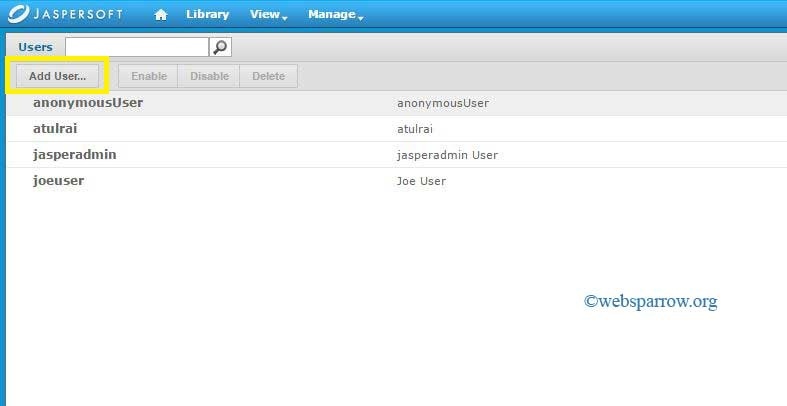 Step 2: After successfully login click on the Manage » Users tab. Step 3: Now click Add User… tab which top left the corner. When you will click on Add User… a new pop-up window will open. Step 4: Fill the user details in the pop-up window and click on Add User button. Step 5: You have successfully created a new user in JasperReports Server. 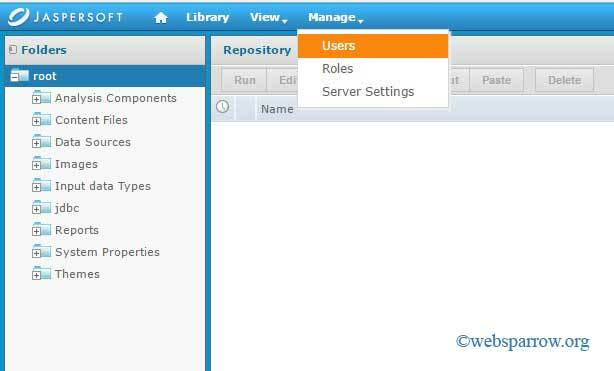 To check whether the user created or not go to the Manage » Users tab and find the user that you have created.